Happy Monday Everyone! 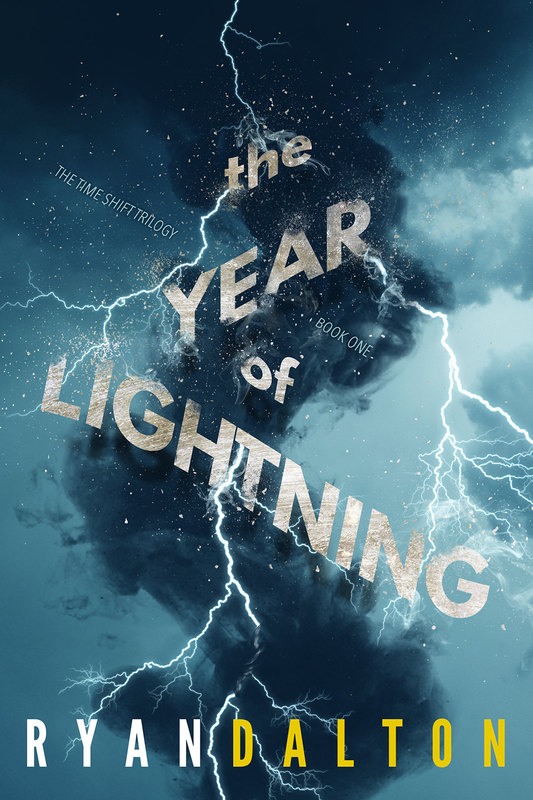 Today I'm excited to have debut author Ryan Dalton here to share about his YA fantasy THE YEAR OF LIGHTENING that releases on January 12, 2016. It sounds like a really unique fantasy story. Meanwhile, lightning storms are breaking out all over town. They’re getting worse every week, and seem to enjoy striking kids who just want to pass science class and mind their own business. When Malcolm and Valentine discover a connection between the house and the storms, their situation goes from mysterious to crazy stupid dangerous. Someone is controlling the great machine, and their purpose is nearly complete. In a race against time, the twins must uncover the chilling plan, the mastermind behind it, and the force that’s driving the deadly storms. They’ll hunt a powerful enemy that threatens their town’s existence, and the only clues are written in the sky. The worlds you create can be characters in themselves. Since this is especially true for science fiction and fantasy, it’s important that we give special attention to creating worlds that are immersive and compelling. So here are four elements you might consider when building your sci-fi or fantasy world. 1 – Is your story set in the “real” world, or an alternate one? This decision will greatly affect how much you need to create. If you’re basing the story in our world, then once you’ve picked a time period and location, you’ll need to determine how much reader knowledge you can leverage and how much will be fictional (that’s the part you’ll need to build). For instance, basing a story in our world, or even almost our world, means you can likely take a few elements for granted–general geography and history, races, animal species, religion, government, basic physics and astronomy. If you’re creating a completely alternate world, these are all elements you’ll need to consider–yes, even physics, if your world is different enough. of an entire world. In fact, you shouldn’t do that, or you may end up so bogged down in world building that you never actually write the story. This is a trap that many aspiring sci-fi and fantasy writers have fallen into, so don’t make the same mistake. What you should do is give those details enough attention for your world to function logically, and for it to support the story you want to tell. For instance, The Hunger Games partly addresses how its future world supports itself by tasking districts with the provision of specific resources. Suzanne Collins spends little time explaining exactly how it works, but we see enough to believe there’s a functional system. 2 – What’s your “magic system” and what are its boundaries? The term magic system is more commonly associated with fantasy, but in a broad sense it can be applied to sci-fi as well. In fantasy it refers to some form of actual magic, while in sci-fi it often means fictional technology. For example, Mistborn’s “allomancy” is a magic system based on ingesting and metabolizing metals, while Across the Universe applies principles of interstellar travel and cryogenics. Whatever system you choose for your story, if any, it’s supremely important that you know how that system works. What does the system do, and how is it done? What are its benefits and liabilities? Are there side effects? Who can use it? What are the rules, and where might they be bent or broken? What are the consequences of bending or breaking them? How can the system be subverted or defeated? Are there any aspects of the system that haven’t been discovered yet? How big an impact does the magic system have on your world? For instance, Red Rising is wholly dependent on specific technology for the story to work, and magic is an integral element of Shadow and Bone. Alternately, for Bone Gap and Before I Fall, the magic systems help facilitate the story but their influence on the world is much more subtle. Whatever you do, stick to the system and don’t cheat, or the reader will feel cheated. Readers love their magic systems, especially when those systems hold up under scrutiny. When they can let themselves believe, it makes the story that much more immersive. So make sure that you’re using the system correctly–which can be harder than it sounds, especially when it stands in the way of a plot point you really want to keep. Trust me, though. Your story will be stronger for the extra effort you put into it. 3 – Why now, and why here? This relates to how your story conveys a sense of urgency. You’ve built or leveraged an entire world’s worth of history. So, whatever setting you choose, why is your story happening then and there, instead of some other time and place? Build your world in a way that makes the story feel inevitable instead of arbitrary. This can heighten your story’s urgency and its uniqueness, giving each event more weight in the eyes of the reader, which will help them keep turning the page. 4 – What matters most? While world building is a key component of successful sci-fi and fantasy, some perspective is needed, because it’s not the most important key. Voice, story, character–those matter regardless of your genre. Yes your world needs to work, and yes it should be as interesting and awesome as you can possibly make it. Ultimately, though, people don’t read books just because of the worlds they exist in. They read them because of the adventures you take them on inside those worlds. To demonstrate how some of these can be applied, here are a few details about my sci-fi mystery novel, The Year of Lightning, which debuts January 12, 2016. The story is set in an almost identical version of our modern world, which meant I could leverage lots of existing knowledge. Then the main characters discover that time travel is not only possible, it’s happening right under their noses. The story explores what makes time travel possible, so I created a “magic system,” or a method of time travel that works within the boundaries of the world. The story also explores the implications of time manipulation, what could be done with it, how it affects the world when it’s used, and what could happen when that ability falls into the wrong hands. Two more books will follow, and each will explore different aspects of time manipulation and the deeper implications of its use. If you’re beginning to feel overwhelmed by the demands of world building, don’t. Stop, take a breath, and refocus on what your story really needs to make it work. Start building your world around those needs and then expand from there. That will help you keep the right perspective and avoid being distracted by over-building. Also, have fun with it! Let your imagination come out to play. You never know what it may come up with, and sometimes the smallest details can give your story that extra bit of magic. Now, suit up and get writing! Also, thanks so much to Literary Rambles for inviting me to contribute. In my early days of working toward publication, this website was a huge part of my education about the publishing industry, and it’s an honor to give back. In case you’re interested, here’s some information about me and the Time Shift Trilogy. Ron has generously offered an ARC of THE YEAR OF LIGHTENING for a giveaway. To enter, all you need to do is be a follower (just click the follow button if you’re not a follower) and leave a comment through November 21st. If your e-mail is not on your Google Profile, you must leave it in the comments to enter either contest. On Saturday I'm participating in the Gratitude Giveaway Blog Hop. The following Monday I have a guest post by Dorine White and a giveaway of a book in her Cleopatra's Legacy series. Although I don't write Science fiction, Ryan's third and fourth points are helpful for any genre. Good luck with this one, Ryan. You've certainly created an exciting premise. Creating a magic system and knowing those boundaries is definitely key to a story within these genre perimeters. Great points, Ryan! Best of luck! The magic system is so important in fantasy. It has to be set and clear or it doesn't work. Congratulations to Ryan! Great tips for world creation. Fantasy and sci-fi readers are smart, so these are important things to consider. Worldbuilding is still not my strong suit. I try! Great to meet Ryan. I like that advice to suit up and write. So true! Appreciate the insight and advice. I'll pass on the giveaway this time around. Thanks for hosting, Natalie. Have a great week! Worldbuilding has always been a struggle for me, so I usually write contemporary novels. But I recently read BONE GAP and was captivated by the hints of magic in our world. So I think magic realism is more what I wish I could write. This is all excellent advice, Ryan. Thanks so much! Great tips! Worldbuilding is very important in science fiction and fantasy, but it's good not to get too bogged down in the details. Congrats, Ryan! The Year of Lightening looks like a great book. Thanks for the giveaway! This is a very rich post for any writer. I don't write sci-fi, but who know... I have a feeling my grandson would love this book. It sounds terrific. Thanks for the post and the chance to win. Awesome book cover and good luck, Ryan. That is one cool cover. I think it's a great premise. I love stories involving time travel and time shifting. This sounds like a good book. And I appreciated Ryan's tips on world-building. I've become interesting in world building these past few years. I've written other worlds when I used to only write contemporary. I had to gauge what realistic things to include and what imaginative ideas fits into the world. Congrats to Ryan on his debut. I hear you with the magic systems. It can be difficult holding to the rules when it's a vast system, but it's equally fun to turn readers on their ear with rule breaking along the way. Wow, the last two weeks have a theme, eh? I like the advice of the when of the story can add to the urgency and telling of it. Congrats to Ryan! Would love to read this book. 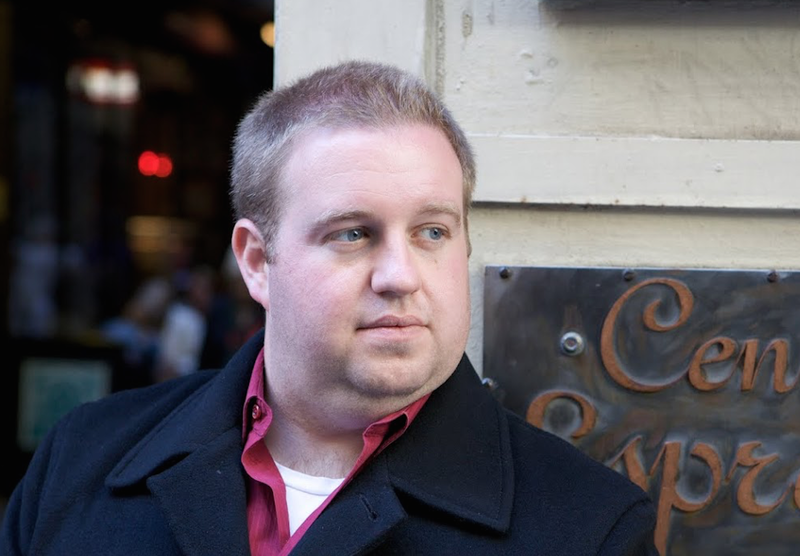 Congratulations Ryan, thanks for your advice on Building Sci-Fi and Fantasy Worlds. Sometimes, I tend to spend too much time in thinking every teenie weenie aspect of my fantasy world. So this post is very crucial for me. I am adding this book to my TBR list. Worldbuilding's rough! Thank you for the tips!